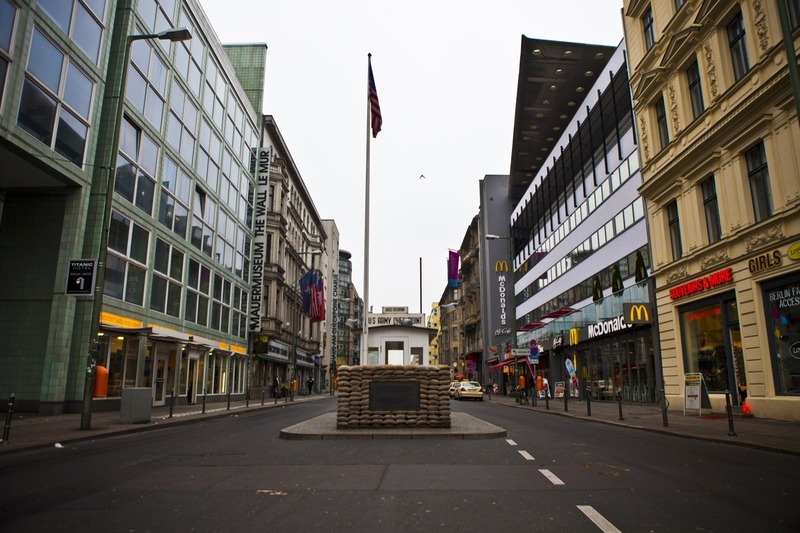 One of Berlin’s most compelling tourist attractions barely exists. 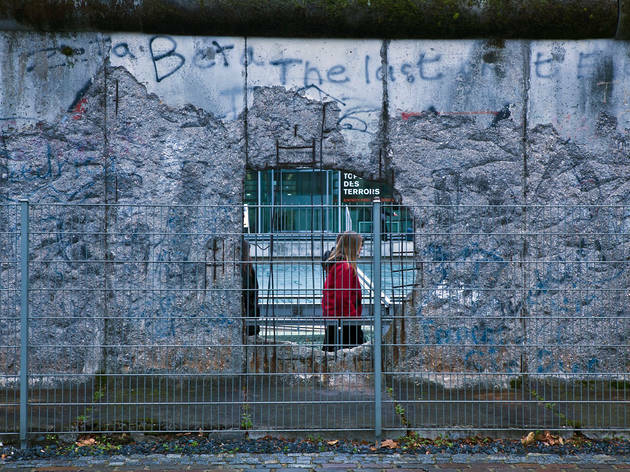 But the remnants of the Berlin Wall continue to draw thousands of tourists annually to the city, in search of its lingering history and traces. 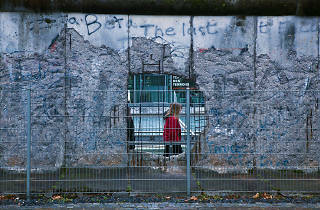 Elated Berliners almost completely trashed the complex system of walls, barriers, checkpoints and death strips in the months following the downfall of the DDR in 1989. Today, where once stood barriers and watchtowers, stand memorials and monuments, guarding and contextualising the actual physical remains. Nevertheless, there's still much to see. And whether you decide to strike out alone or take one of the tours with which Berlin is awash (via anything from a refurbished Trabant to public transport, bike, foot and even pedal-powered ‘beer bikes’), you’ll be able to see not only the physical fragments of a still scarcely believable intervention in Western politics, society and culture but also mull on the city’s torturous relationship with its own history, through the diverse disparity between sites and memorials. From the national memorial for the victims of the Berlin Wall, the Berlin Wall Memorial to the north of Rosenthalerplatz in Mitte at the former Bernauerstrasse crossing to the Wannsee lake to the southwest of the city, the Berlin Wall Trail follows the entire 160km former route the Wall took to encircle West Berlin between 1961 and 1989, much of which utilises the former patrol roads used by security police on both sides of the barrier. Many of the key stop-off points in the city itself feature handy listening posts, plaques, maps and explanatory information panels, whilst some of the many victims of failed escape attempts are remembered with 29 tributes along the way. There's lively street art at the East Side Gallery near Kreuzberg as well as one of the longest stretches of surviving wall at almost 1.3km, while at Niederkirchnerstrasse, a more later structure stands, pockmarked, shredded and preserved behind wire in the shadow of the imposing Martin-Gropius Bau in the heart of the city. 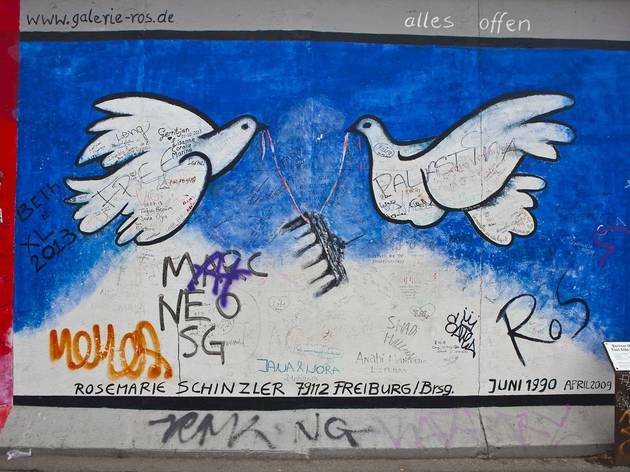 Meanwhile, the city pursues its often-controversial programme of redevelopment – a recent episode saw the bizarre political wranglings that led to protests to save the Wall remains by Kreuzberg's legendary East Side Gallery. These ultimately proved uneccesary, but not before the unofficial patron saint of the Berlin Wall, David Hasselhoff, had intervened. Amid the preservation fever, one notes the irony of protestors, a generation on from the original stormers of the Wall, today fighting to keep its remains. A poignant validation, if needed, that demonstrates the Wall's lingering power and the emotional weight it still loads on Berliners today. 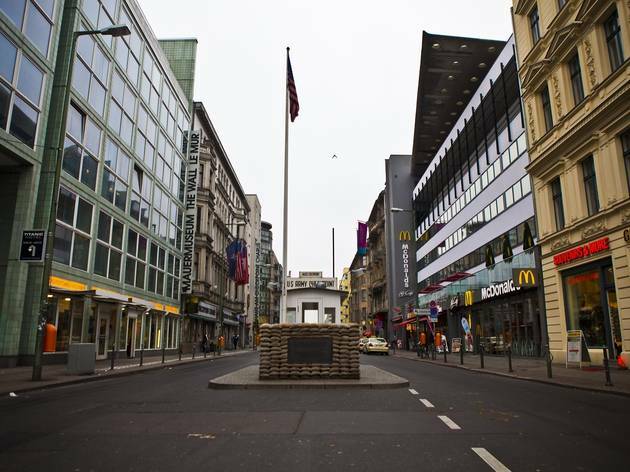 From Checkpoint Charlie, take a tour on foot through death strips, watchtowers and post-’89 artistic reclamation – with Time Out Berlin’s bespoke Berlin Wall itinerary. 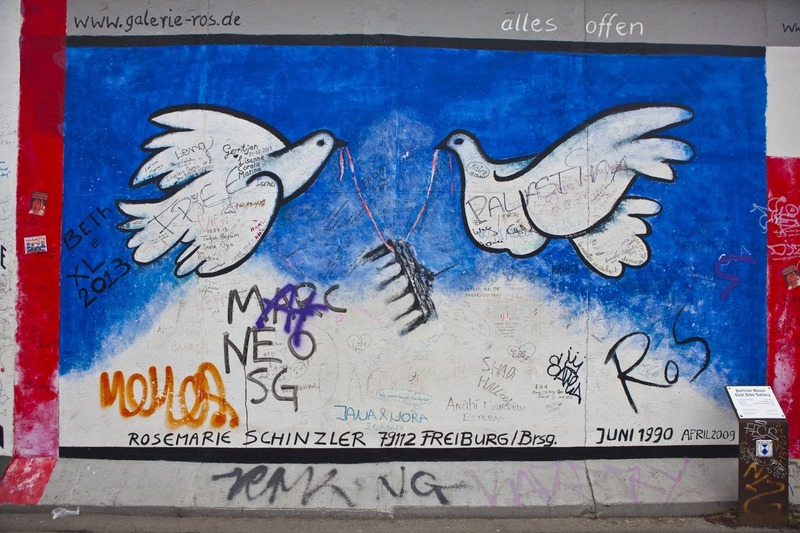 Embark on Time Out Berlin’s visual tour of the Cold War’s most enduring monument – including treasured retro graffiti at the East Side Gallery and spare iron reminders of the DDR era.